Winter squash is the name given to the cucurbits that develop thick skins, which allow them to be stored over the winter months. Carnival squash, a variety of Acorn squash, is another winter squash that stores well in a cool, dry spot. 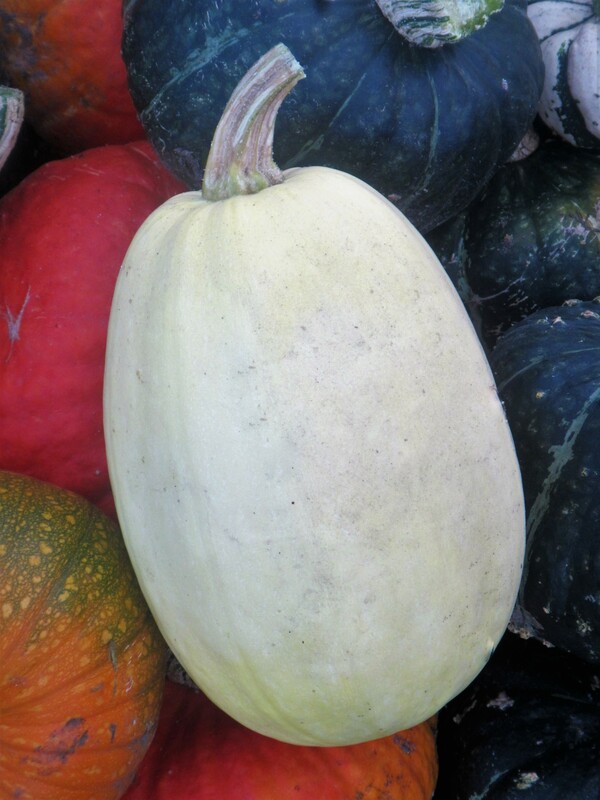 This acorn-shaped squash has smooth skin splashed with a mix of cream, yellow, orange, and green colors. The pale orange flesh is semi-dry, firm, and very mild in flavor. Cooking will help bring out more flavors and improve the sweetness. To help improve the sweetness, put some butter, freshly chopped rosemary, and maple syrup in each cavity of a cut and cleaned squash before roasting to perfection. Roasted carnival squash makes a great side dish that can be topped with your favorite compound butter. The flavor of the buttercup squash’s flesh is sweet and nutty, with a creamy consistency more in line with that of a baked sweet potato than a pumpkin, which tends to be more fibrous and watery by comparison. The flesh can tend toward dryness, a flaw that is easily compensated for by cooking method. Steaming and baking are preferred methods of preparation, as both will bring out the sweetness of and add moistness to the flesh. Kabocha squash is a Japanese varietal of winter squash that is now grown around the world. 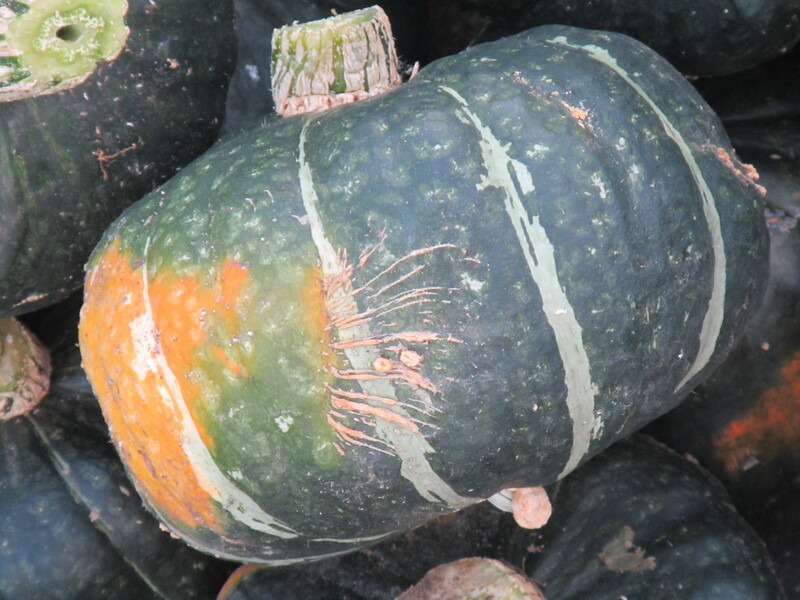 The kabocha squash has the driest flesh and will store the longest. Black Forest produces dark green, flat-round Kabocha squash with deep orange flesh that is sweet, dry, flaky and flavorful. The 2–4 lb squash are uniform and a bit smaller than most kabochas, a perfect size to bake for dinner. 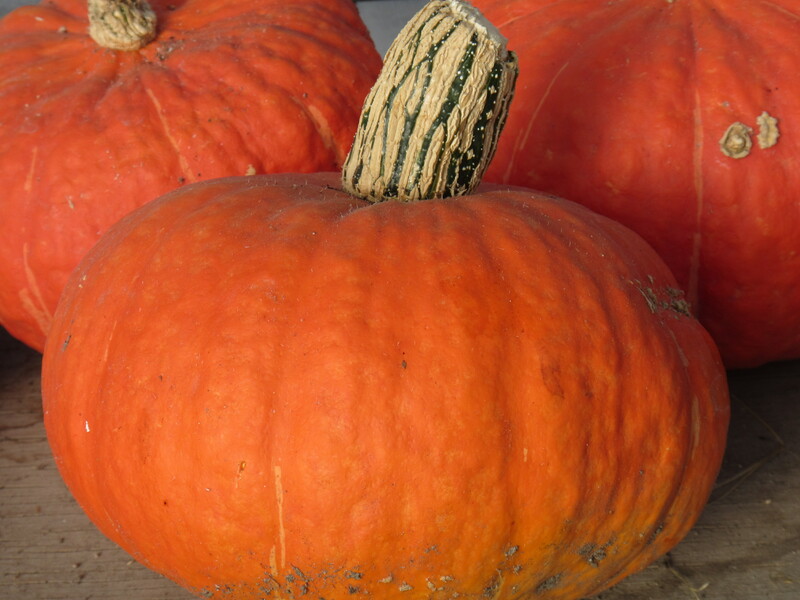 Sunshine squash is a variety of Kabocha squash that is orange-skinned and turban-shaped. Known for its naturally sweet flesh that is not stringy, sunshine squash are also high in vitamin C and beta carotene. lengthwise and remove the seeds with a spoon. 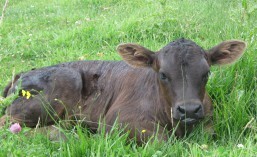 Bake or boil it until tender. Once squash is cooked, use a fork to rake out the stringy flesh (which is spaghetti like) all the way to the rind and serve. 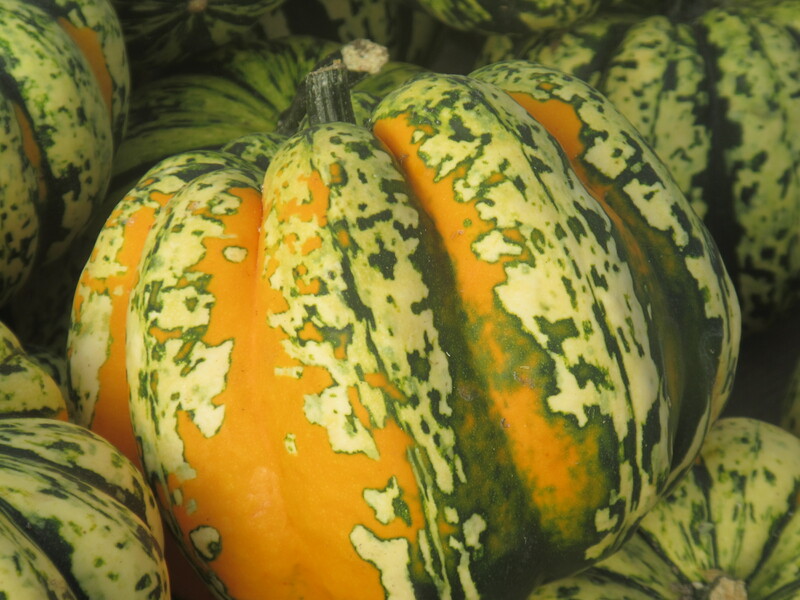 Store squash in a cool, dry place (preferably 55 to 60 degrees Fahrenheit) up to 3 months. 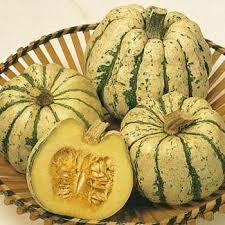 Refrigeration will make the squash spoil quickly, but squash can be stored in the refrigerator 1-2 weeks. Cut squash should be tightly wrapped in plastic wrap and refrigerated. Keep whole squash in a cool, dry place that has plenty of ventilation. If you like to keep squash on the kitchen counter for décor, it will dry out faster, so it should be used sooner than later. 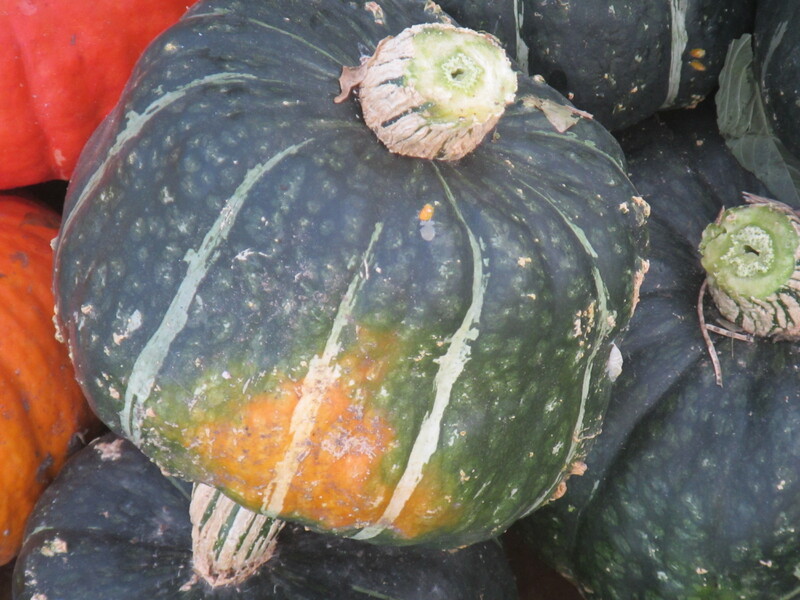 Otherwise winter squash should store well for 3 to 4 months. Cut squash can be wrapped in plastic and stored in the refrigerator for up to one week. Kabocha squash can be baked, roasted, or steamed, and cut pieces make a great addition to soups, stews and gratins. Winter squash goes well with a variety of flavors, including olive oil, butter, Gruyere cheese, Parmesan cheese, Fontana, sage, rosemary, garlic, onion, apple, coconut milk, ginger, lime, curry, brown sugar, and maple syrup. Cutting a large squash can be challenging; to avoid hurting yourself, try to create a flat stable surface. A heavy knife or cleaver and a rubber mallet are useful tools. Make sure to cut next to the stem and not through it. If you need to peel the squash, use a chef’s knife to peel off the outside skin. Save the seeds for baking if you want a fun crunchy snack. A basic approach for cooking squash that can be used any number of ways. Cut squash in half, then scoop out the seeds and fibers. Brush the cut surfaces with a thin film of oil and set the squash, cut side down, on a sheet pan. Bake at 375 degrees until the squash looks wrinkled, soft, and a knife pokes through the skin easily, usually around 30-45 minutes. The cut side should be richly browned and glazed. Squash can be served warm or cooled for later use to make a puree, soup, or pie filling.